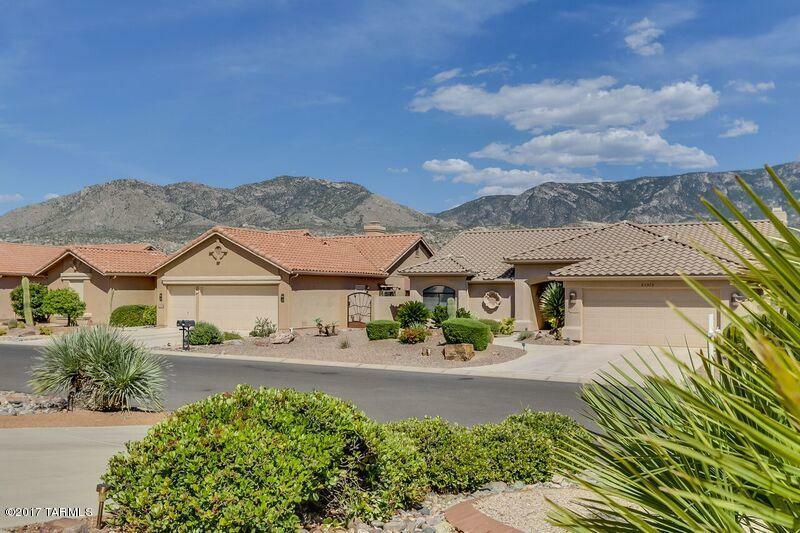 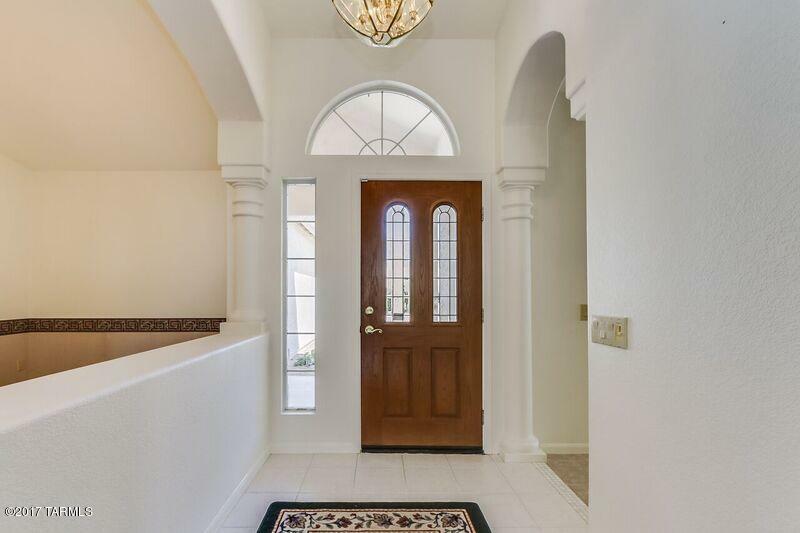 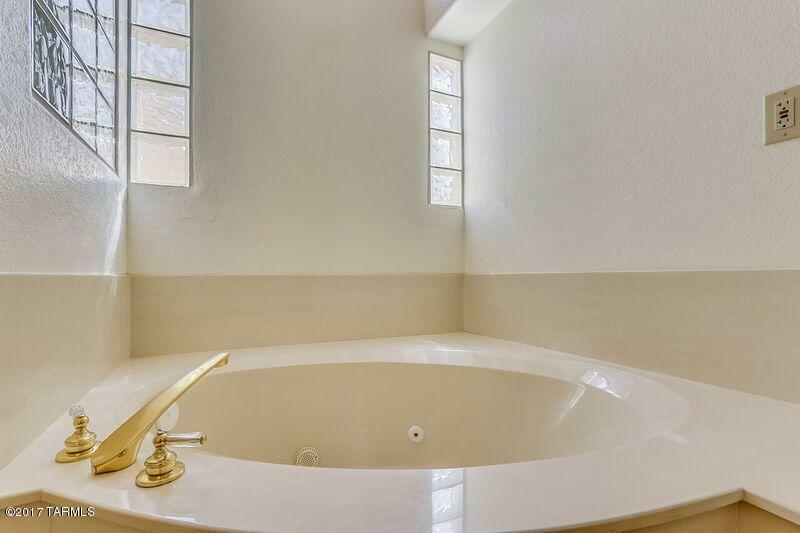 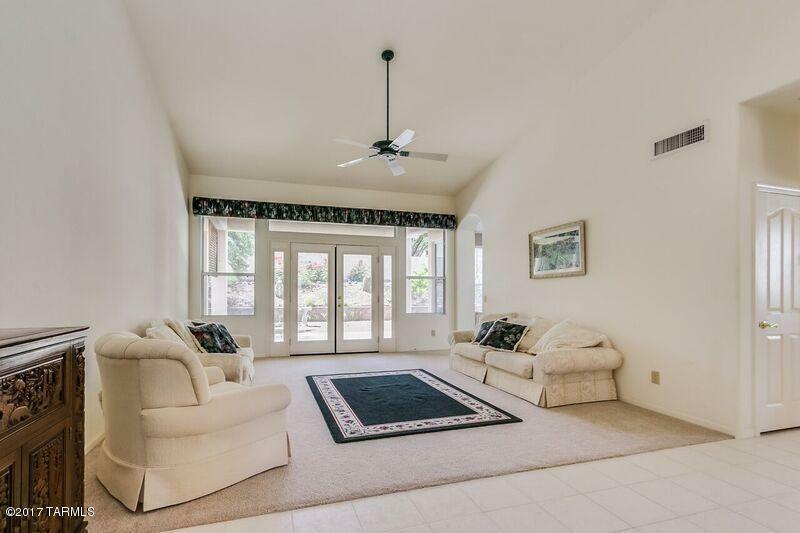 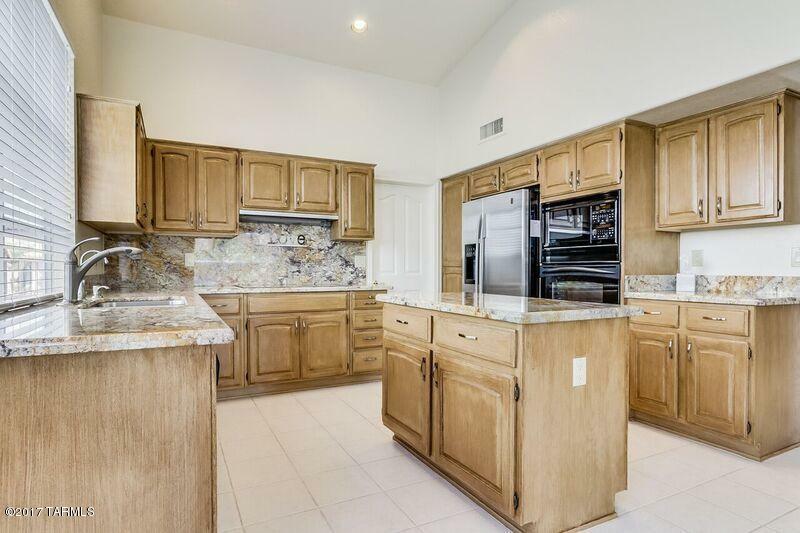 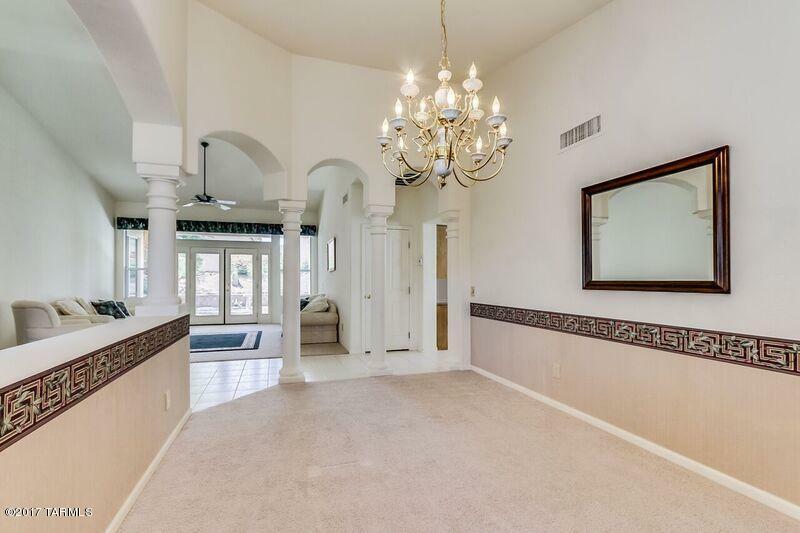 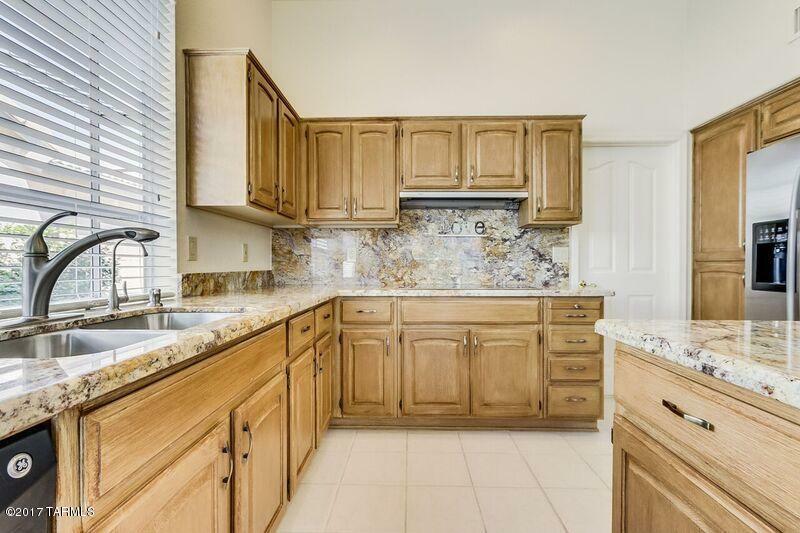 This elegant Estancia features soaring ceilings, formal and informal living and dining areas, an updated kitchen with gorgeous granite and a private, generously sized owner's suite completely separated from the den, guest bedroom and guest bath. 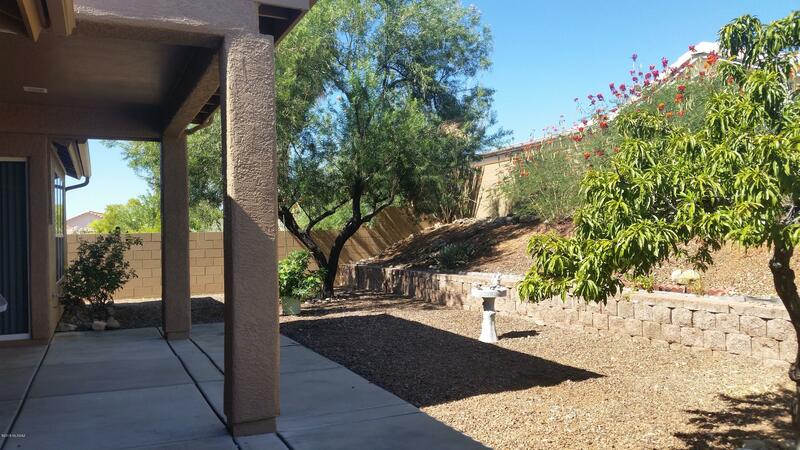 The tiered backyard is peaceful and private with covered and open patio areas and there are mountain views from the front. 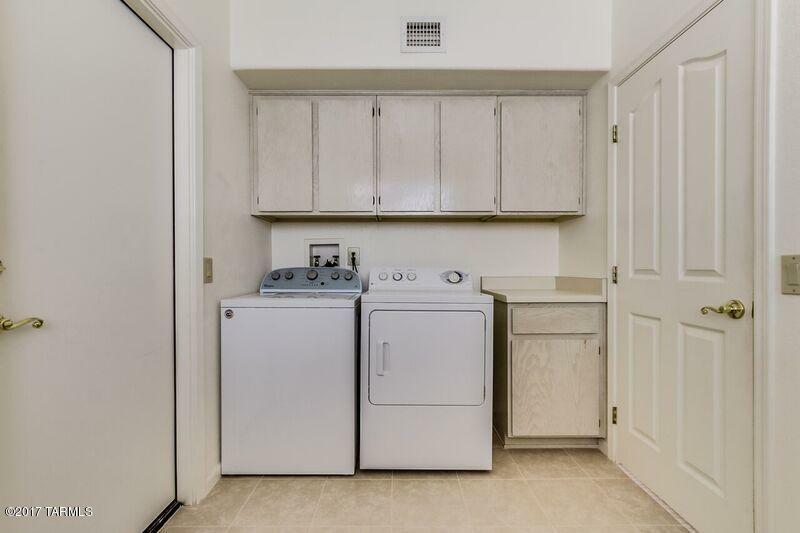 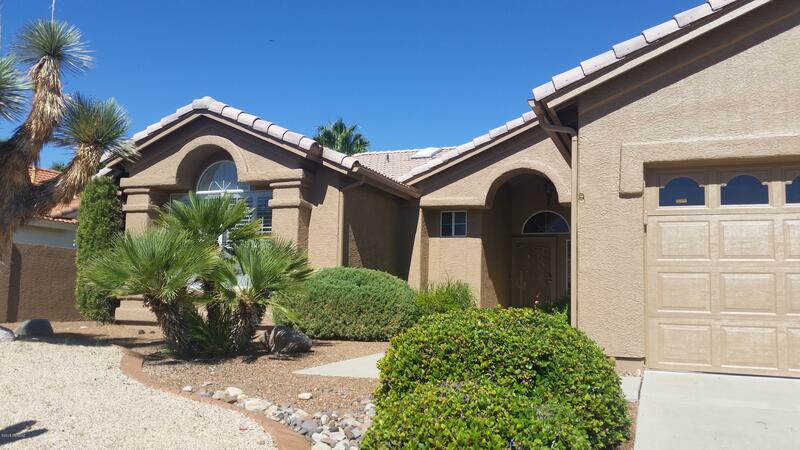 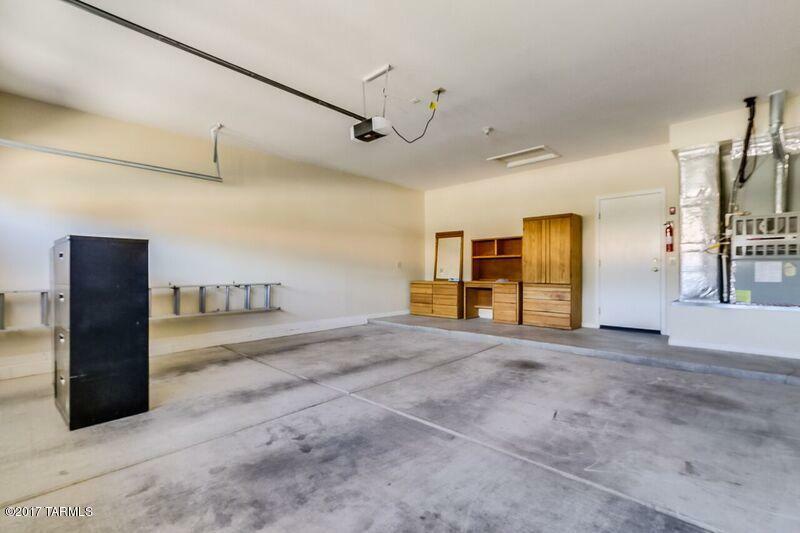 Some recent updates include exterior and interior paint (2018), tile floors in baths and traffic areas, carpet, window blinds, garage door opener, refrigerator and washer. 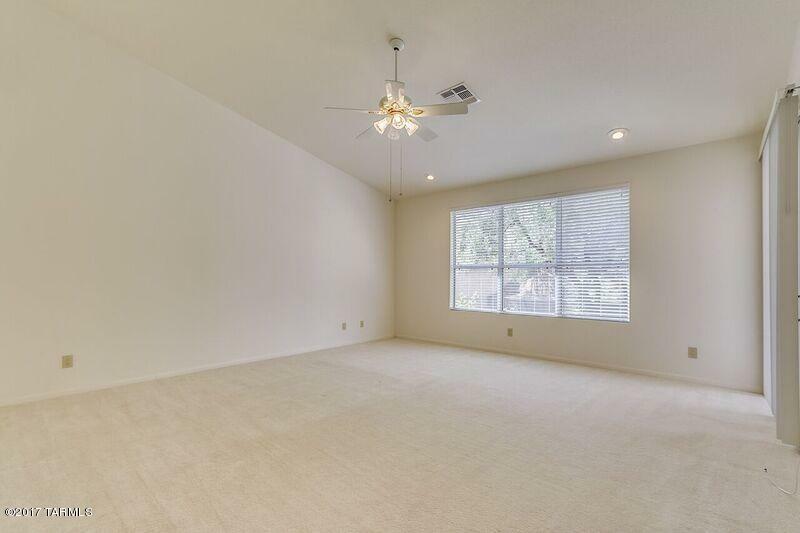 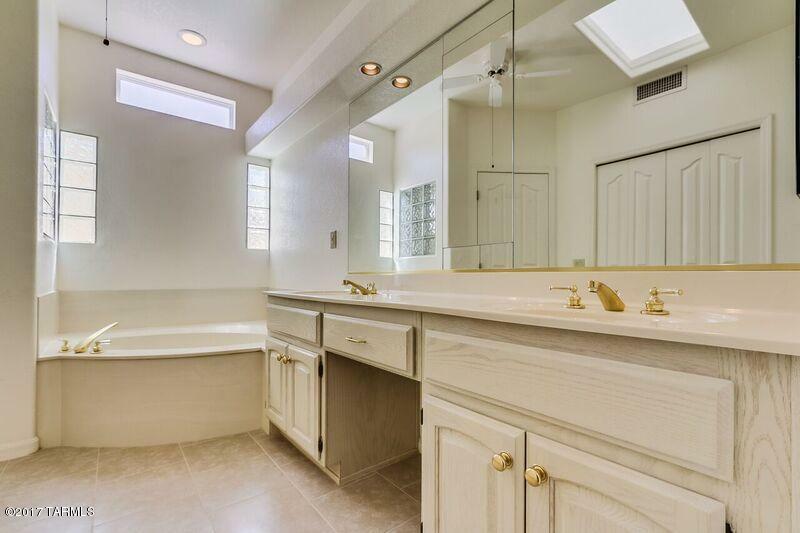 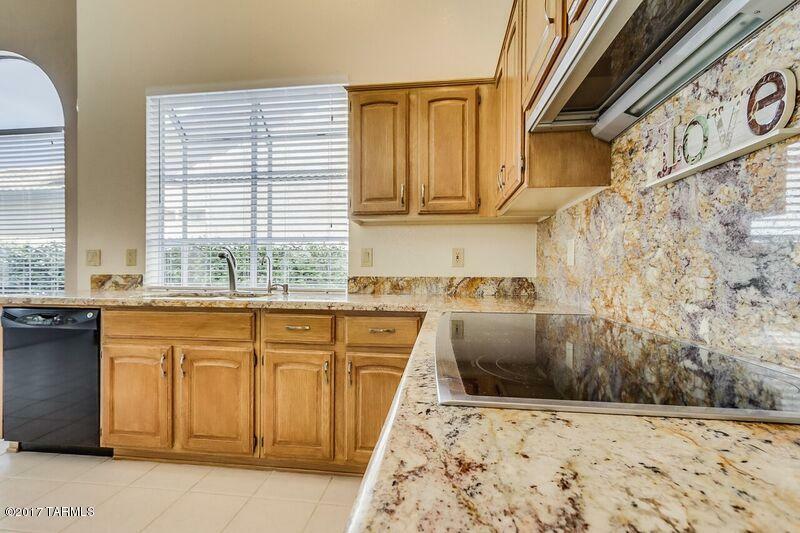 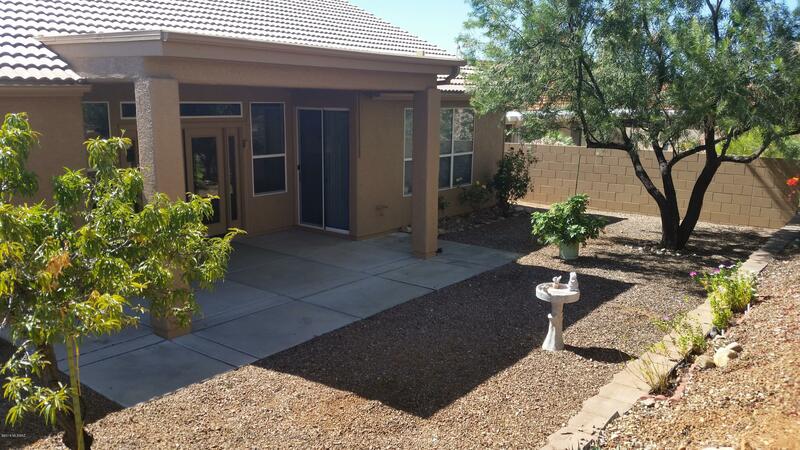 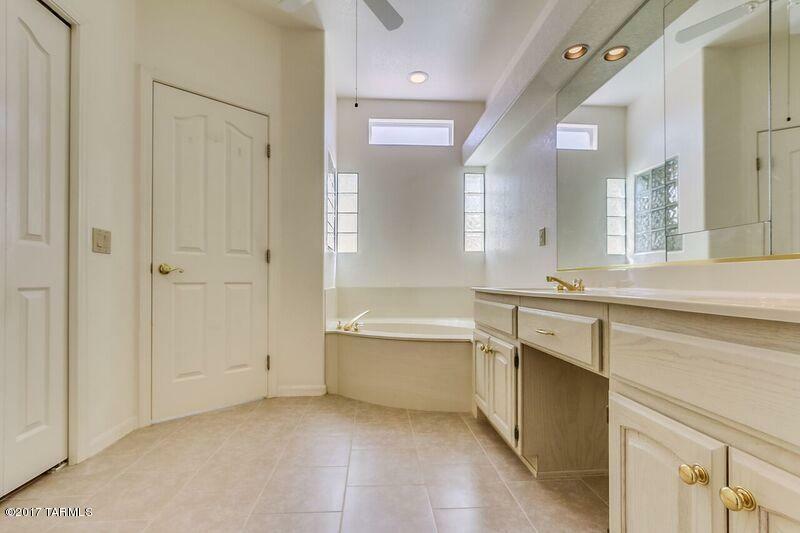 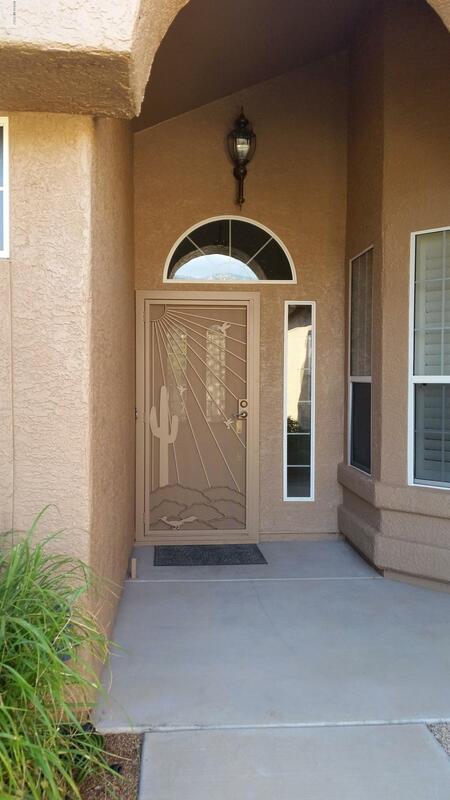 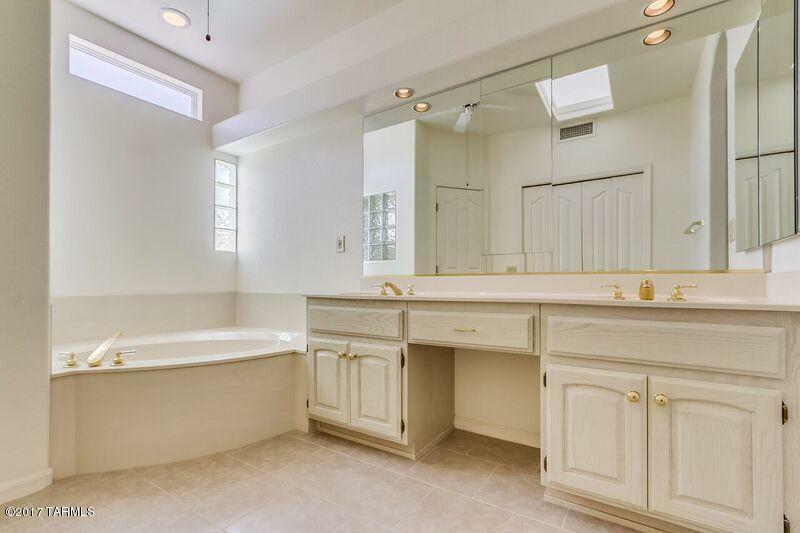 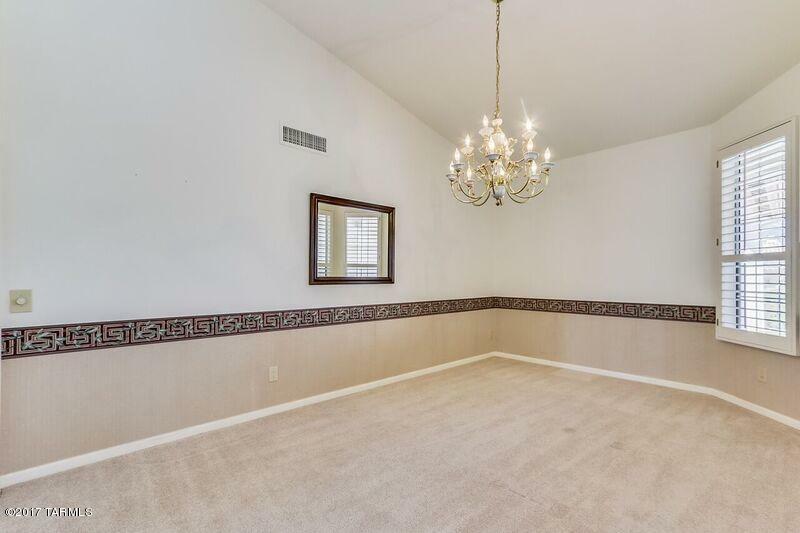 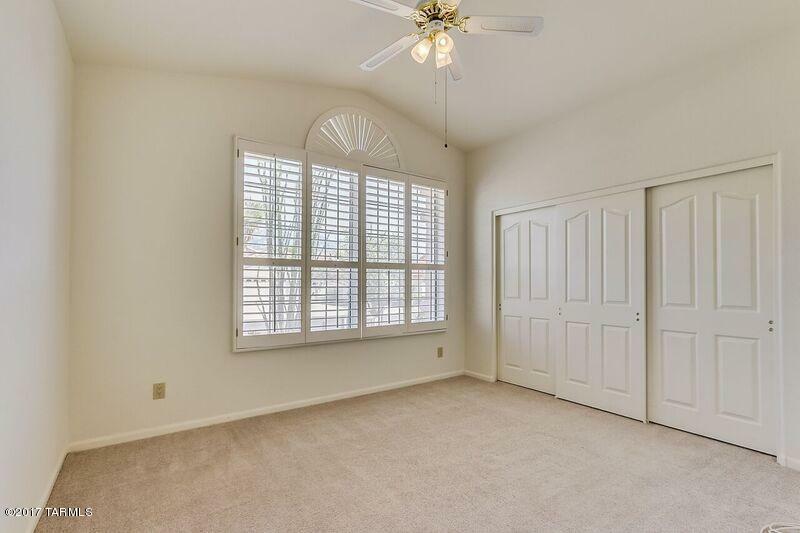 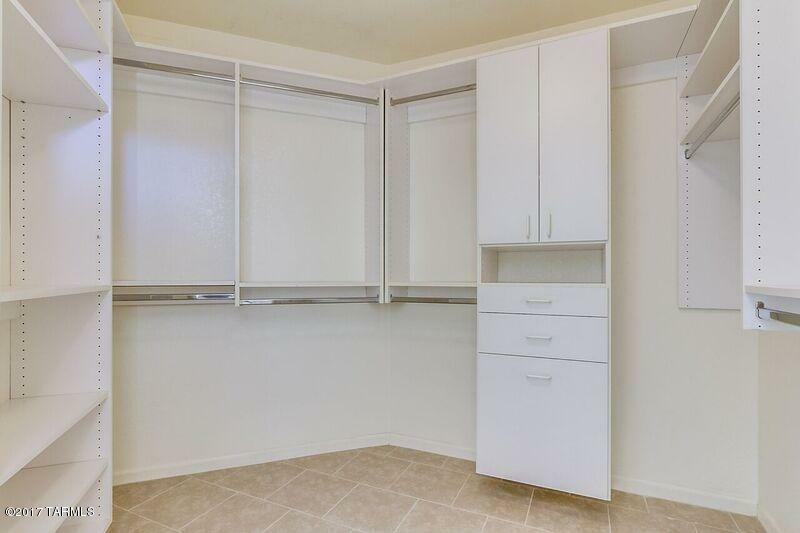 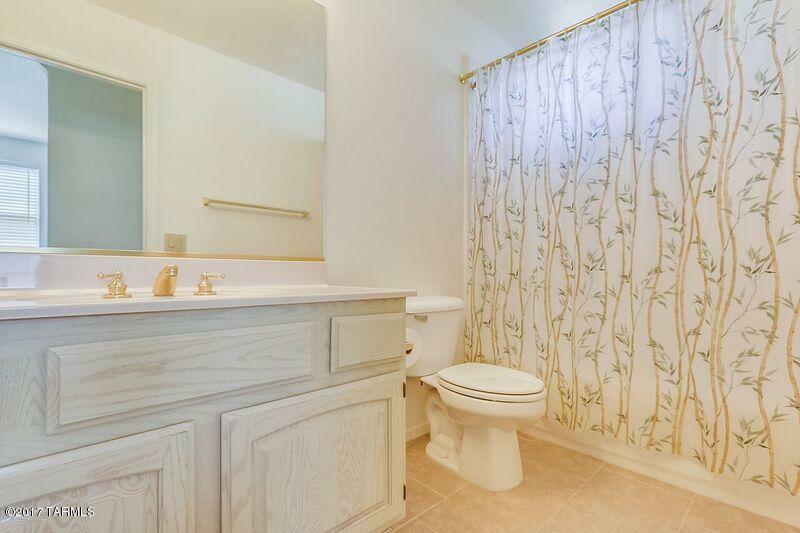 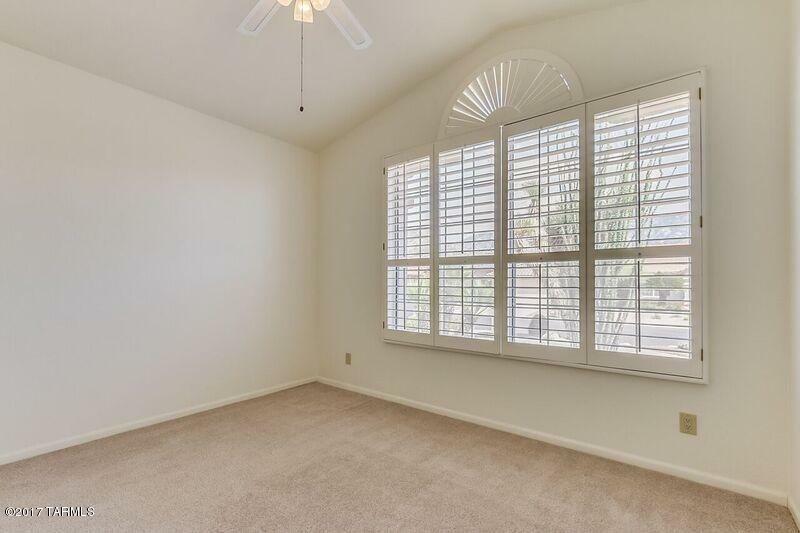 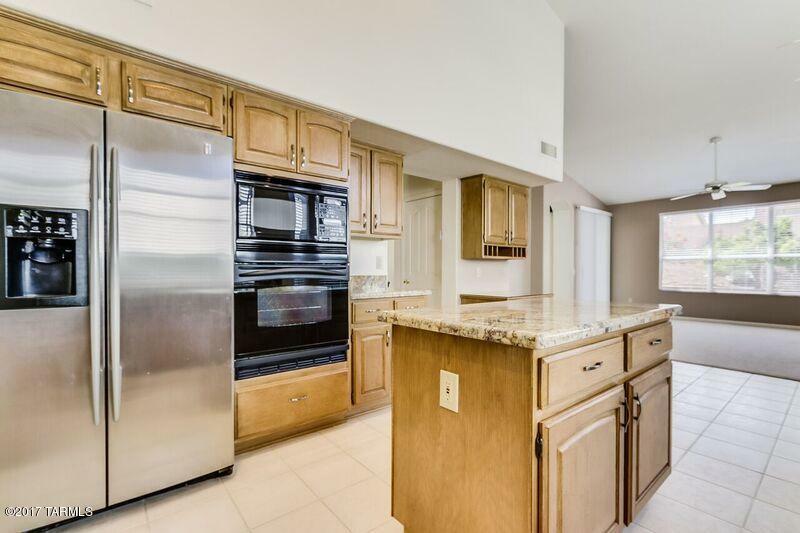 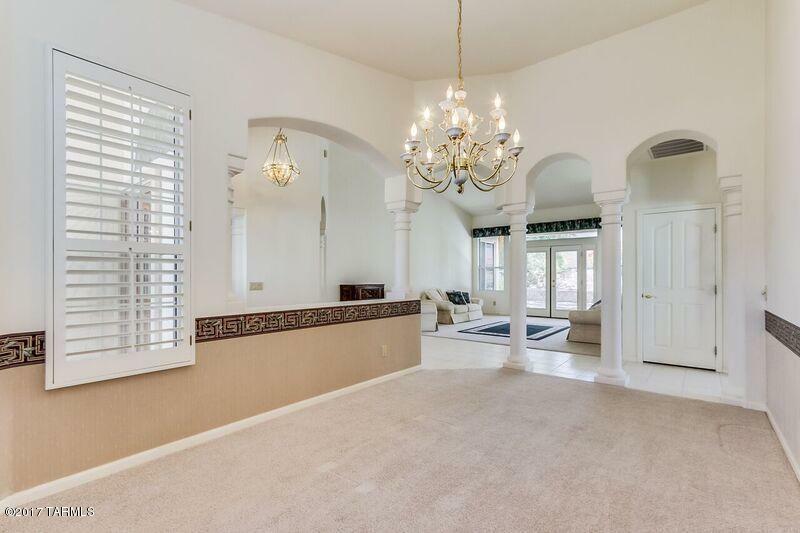 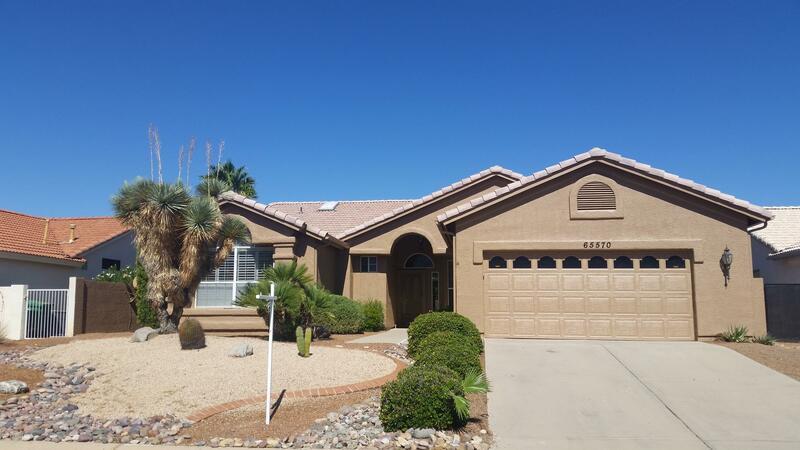 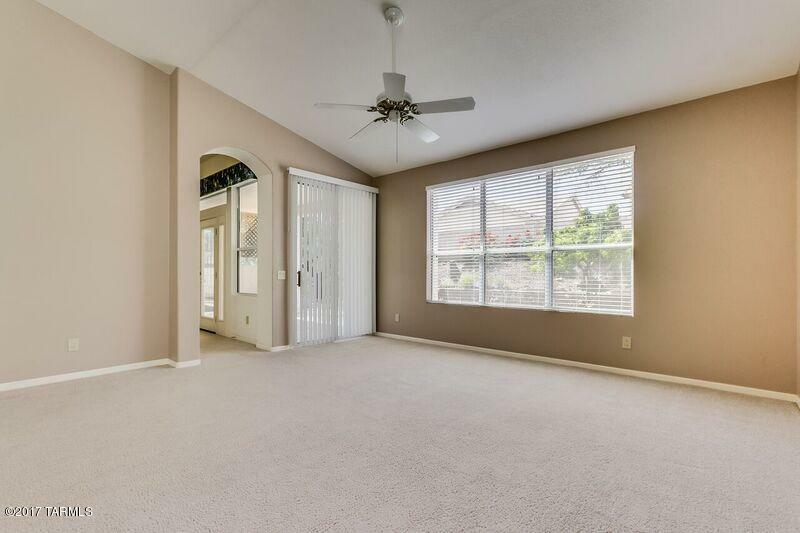 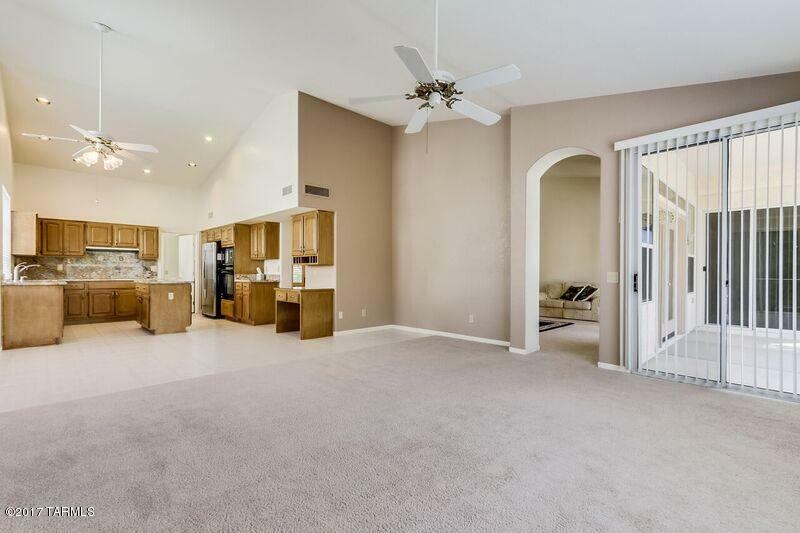 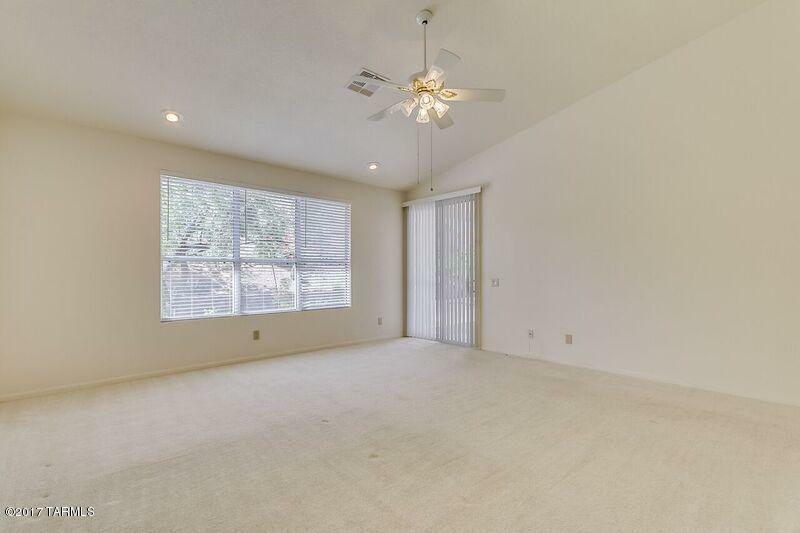 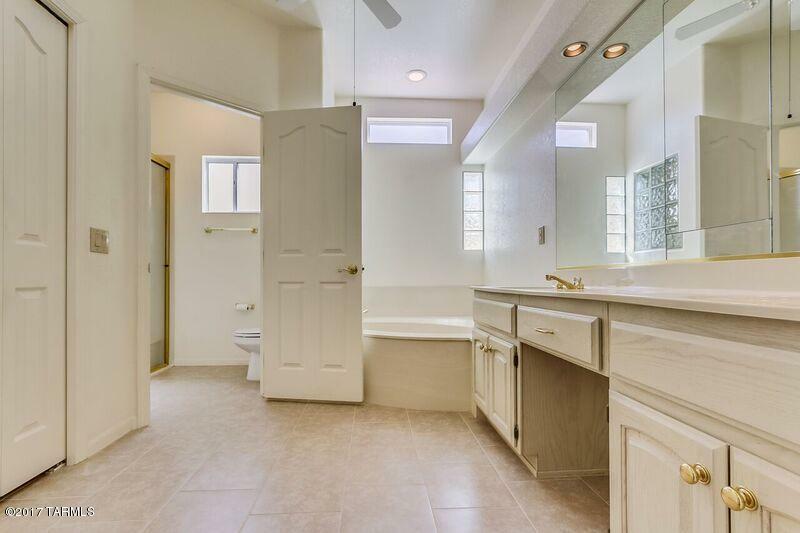 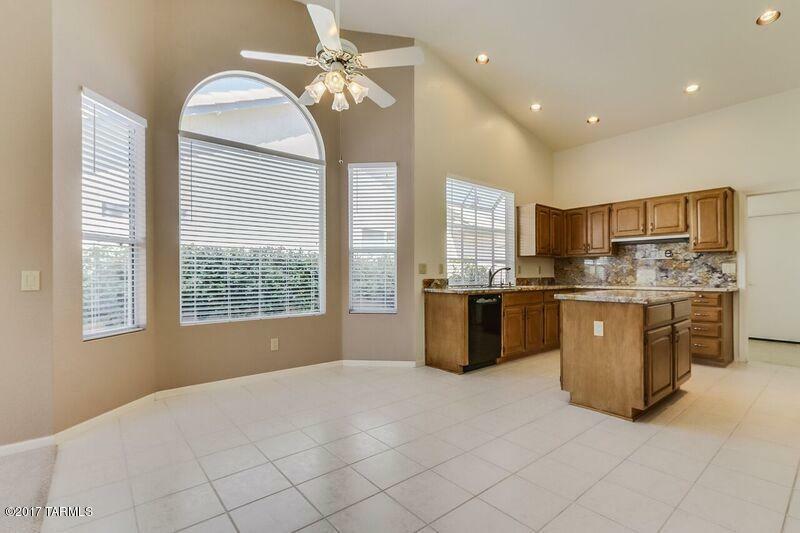 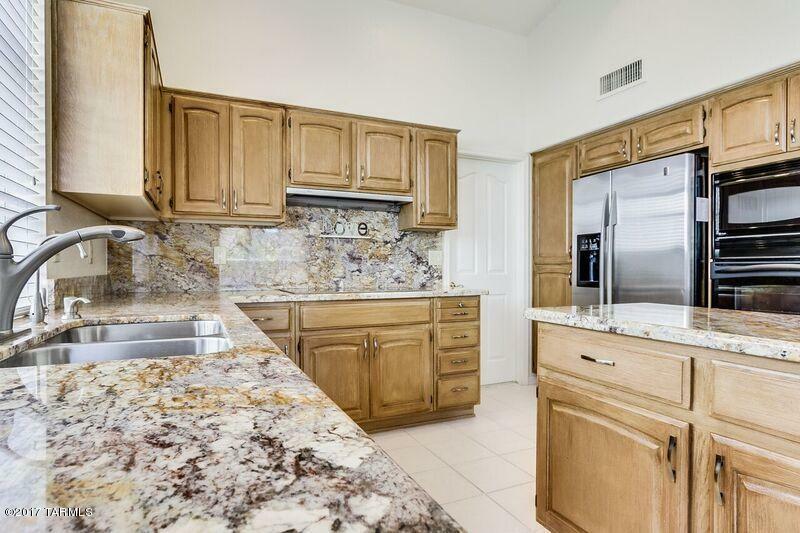 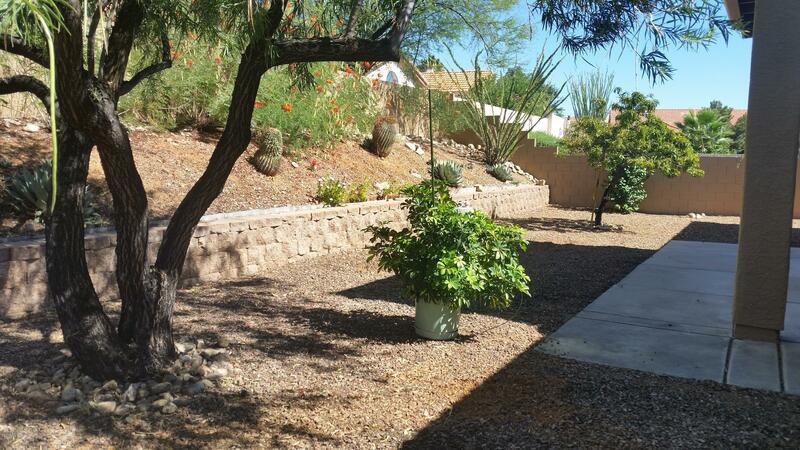 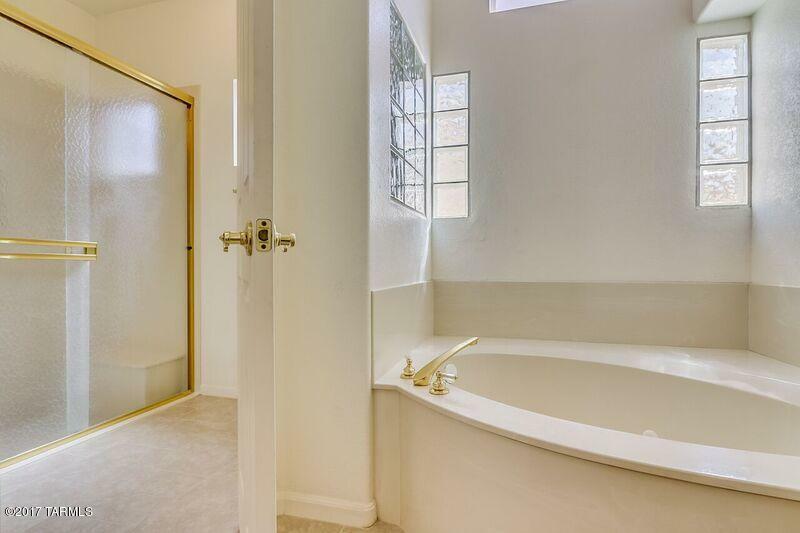 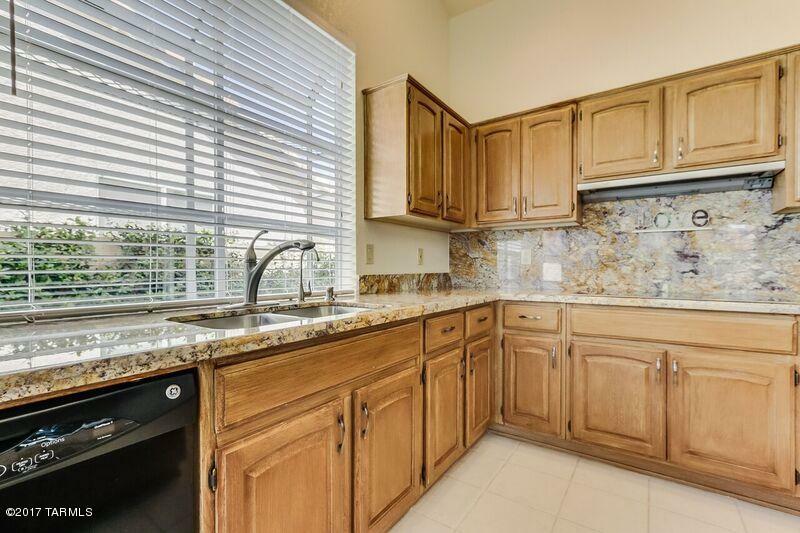 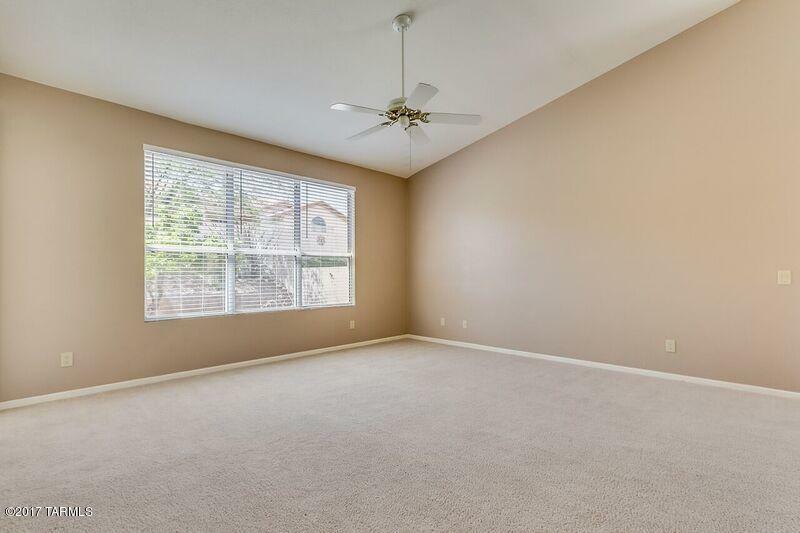 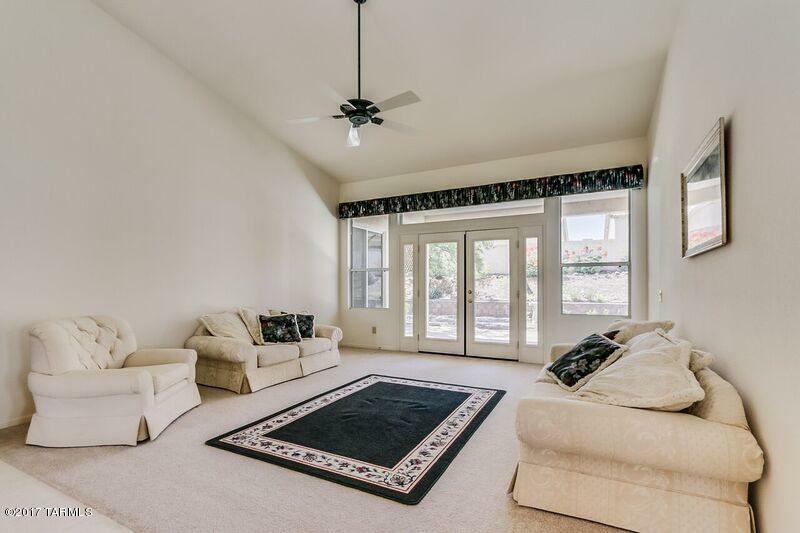 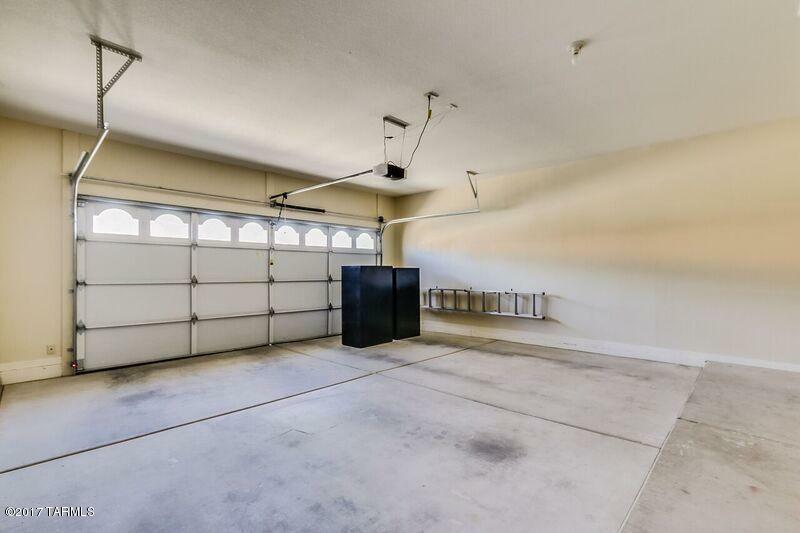 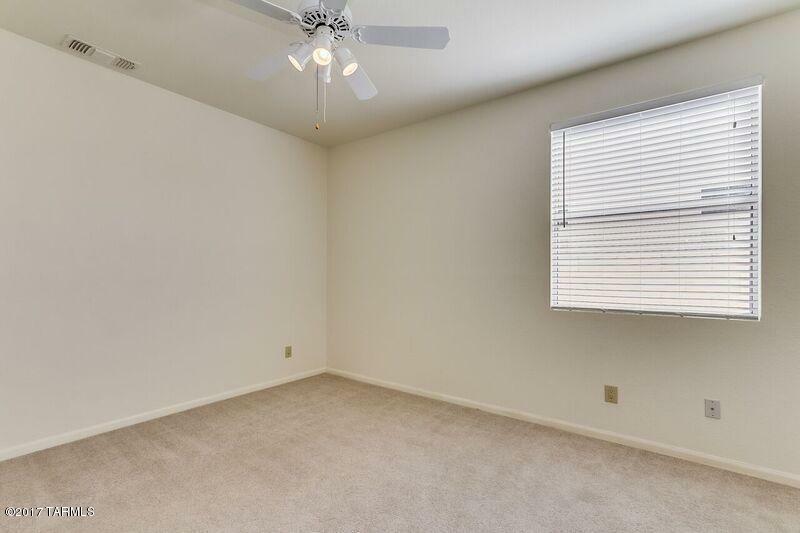 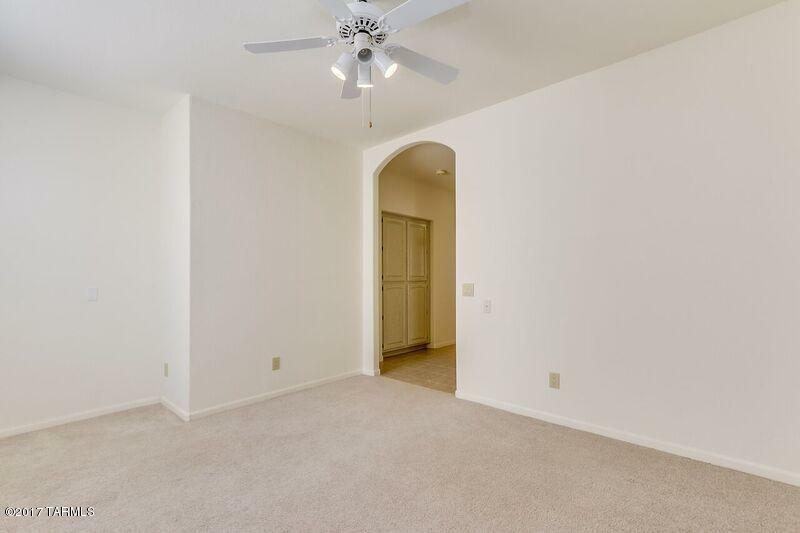 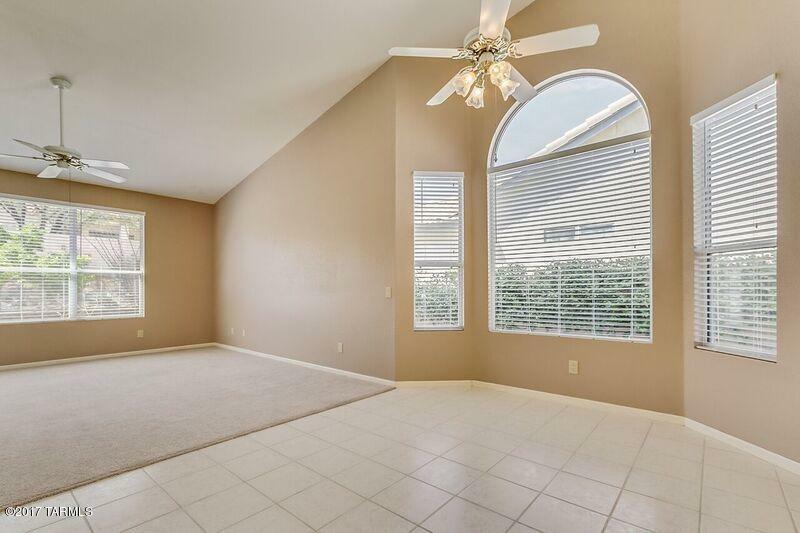 This home had been well maintained, is spotlessly clean and move-in ready. 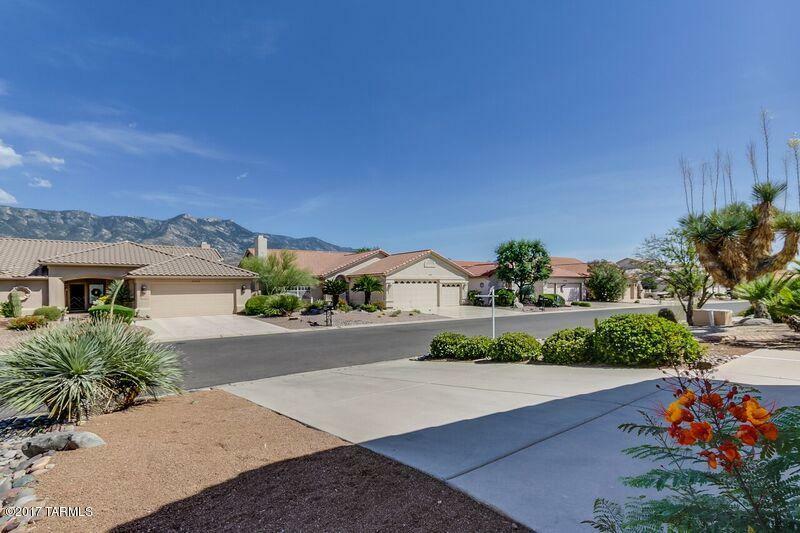 From Oracle Road and SaddleBrooke Blvd., east to Ridgeview. 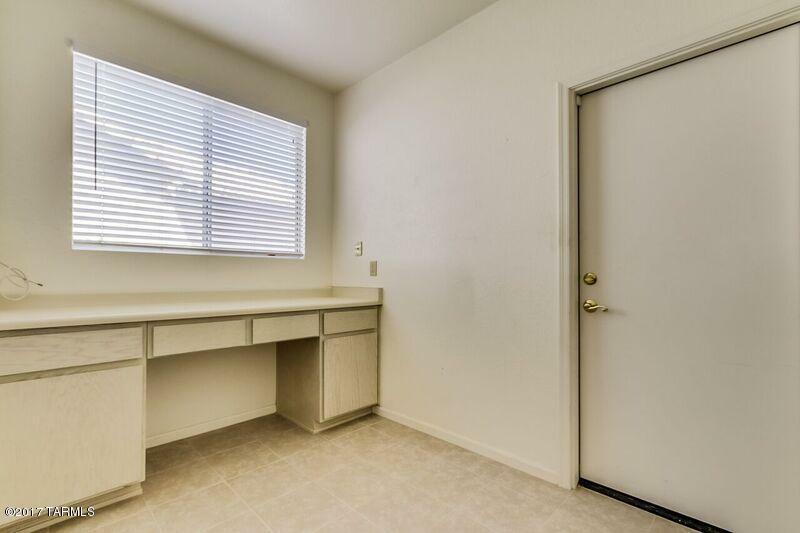 Turn right on Ridgeview to Canyon, and right again to address.